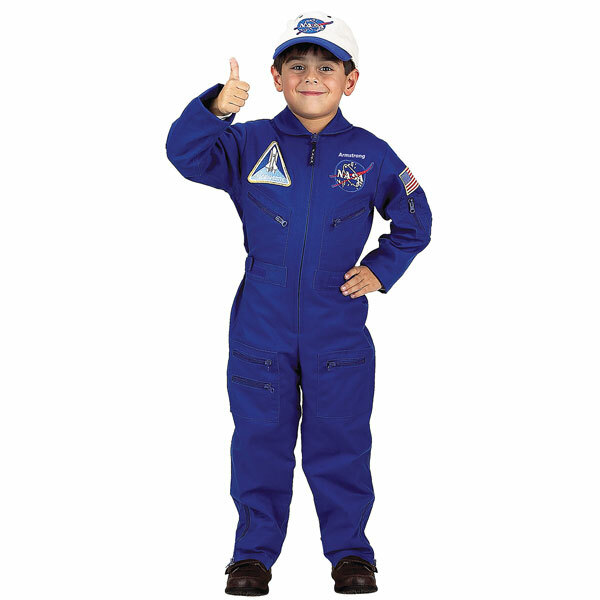 Adorable Personalized Flight Suit costume transforms your little angel into the next Chuck Yeager. Made with many of the same details as worn by the pros. 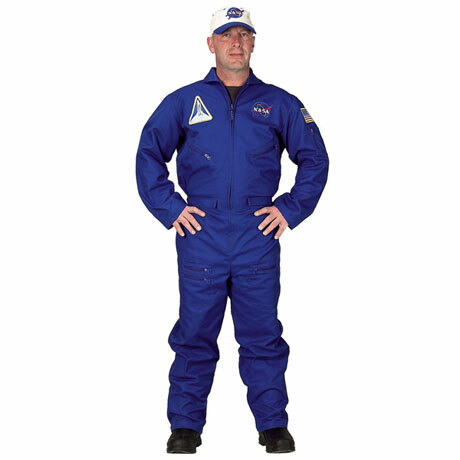 One piece suit with a full zipper, adjustable waist and cuffs, lots of zippered pockets and an official NASA Patch. 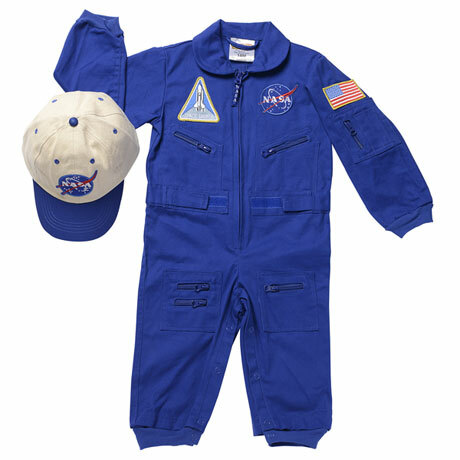 Also comes with an official looking NASA Cap (6-12 month suit does not come with a cap). 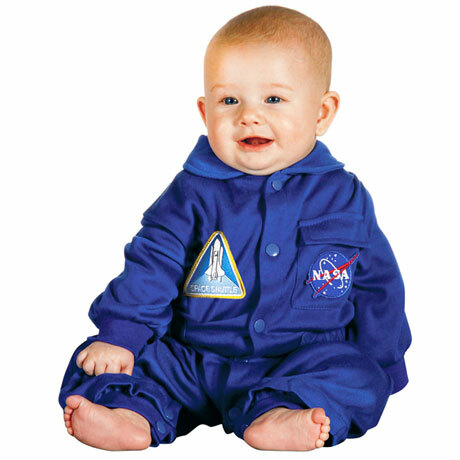 Sizes 6-12 months (non-personalized only), 18 months, 2/3, 4/6, 6/8, 8/10, and 12/14. Adult sizes Small and Large. Easy to clean cotton/poly blend. 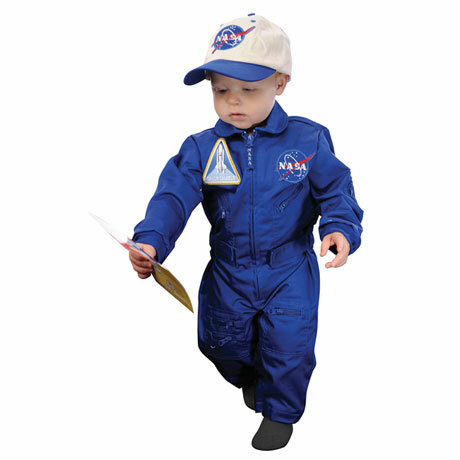 Personalize with the name of your little pilot (up to 14 characters). No rush delivery or gift box. 6 - 12 months (no cap and cannot be personalized.) Please allow 2-3 weeks for delivery. Item can only be shipped within the Continental US.